Born out of Katana DNA, the Vice is a lightweight, mid-priced design created to power-up good times all over the mountain. The foundation of the V-Rod Ultralight baseplate and AsymWrap heel hoop balances edge power, side-to-side flexibility, and lightness. 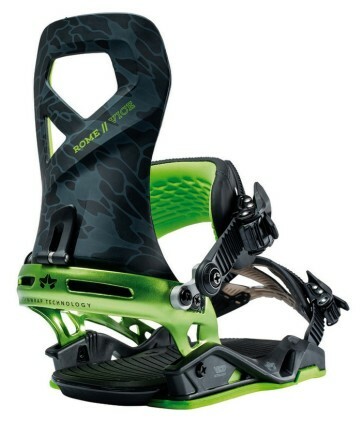 Then to bring Rome’s signature customization tech, we created a simplified version of our PivotMount Technology to let riders position their ankle straps low for tweakage, in the middle for even toeside response, and high for added power. With the Vice, put all-mountain adventures and park laps on repeat.